Park Towne is located on the west side of the Benjamin Franklin Parkway in the Art Museum/Fairmount neighborhood. The neighborhood is one of Philadelphia’s most eclectic, featuring cultural attractions such as the Art Museum and the Barnes Foundation. Historic row homes, acclaimed restaurants, public art, and Fairmount Park characterize Park Towne’s surroundings. 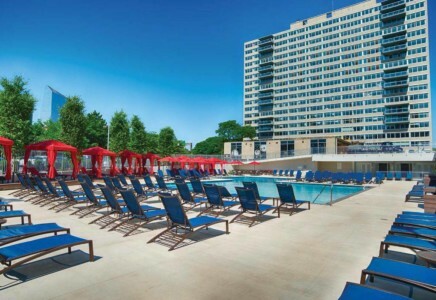 Amenities include a fitness center, swimming pool, a clubhouse, a movie screening theater, and a picnic area with outdoor BBQ’s available for social events. Residents will also enjoy the convenience of an onsite gourmet market and café, bike storage, laundry, onsite recycling, dry cleaners, salon & spa, and a doggie spa! Units feature brand new luxury baths and kitchens with dishwashers and garbage disposals. Let the James ‘Right’ Price team’s real estate acumen find your new Philadelphia luxury condominium home in Park Towne Place today!